This post is brought to you by Disney and BluePrint Social. All opinions are 100% mine. Today’s post is all tubby and cuddly and stuffed with fluff! Yes, I’m talking about my favorite bear, Winnie the Pooh! I have a special little spot in my heart for the silly old bear. 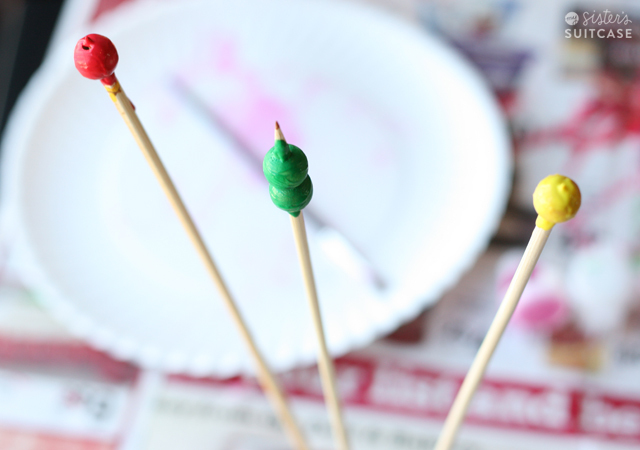 So I’m thrilled to share a kids craft today inspired by The Many Adventures of Winnie the Pooh! 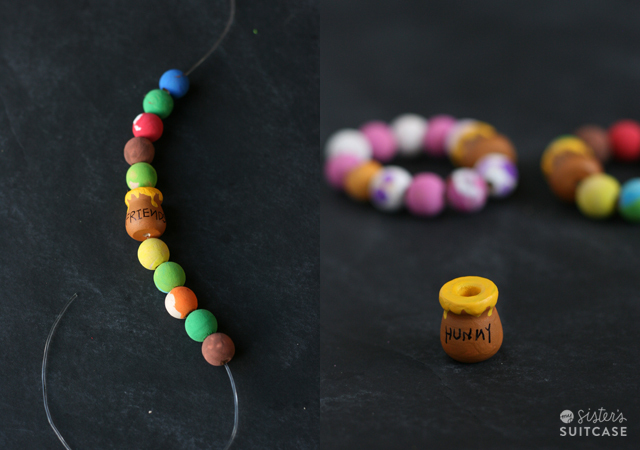 My kids (who are best pals) and I made a few friendship bracelets with Honey Pot “best friend” charms. 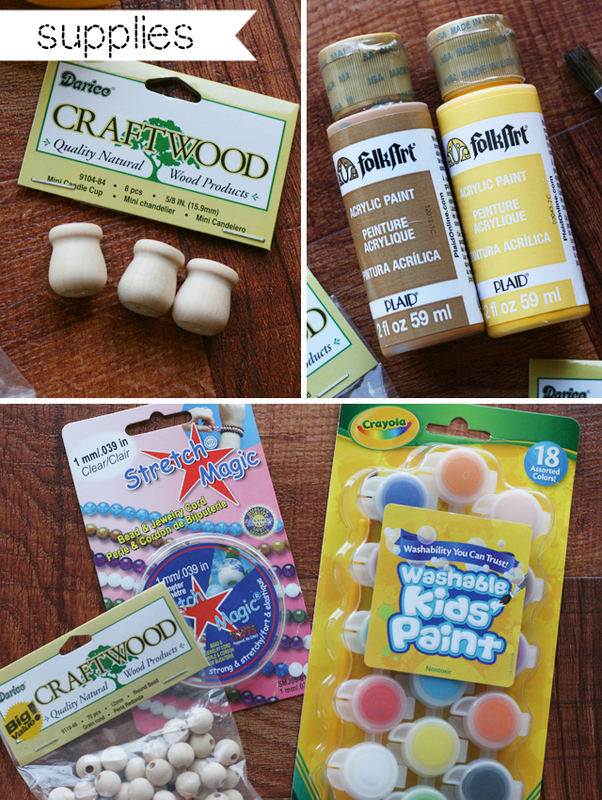 Here’s what you need to make this simple craft. 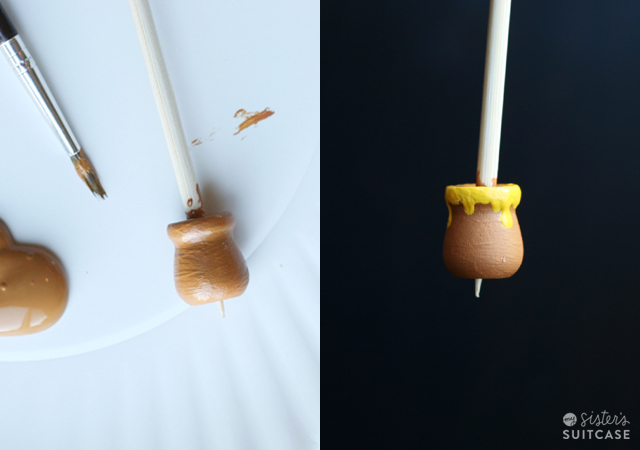 Aren’t these little wooden beads the perfect shape for honey pots? I just added a little yellow layer to be the smackerel of honey ! 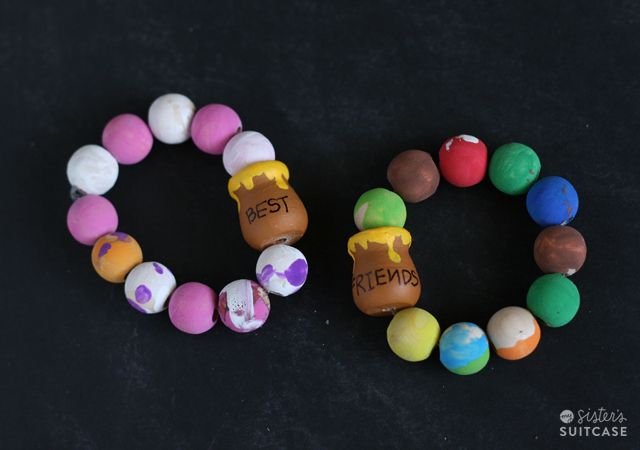 We made a charm for each bracelet and wrote “best” and “friends” with a thin permanent marker. Hmmm…can you tell whose is whose? Wherever they go, and whatever happens to them on the way, in their enchanted place on top of the forest, a little bear will always be waiting. 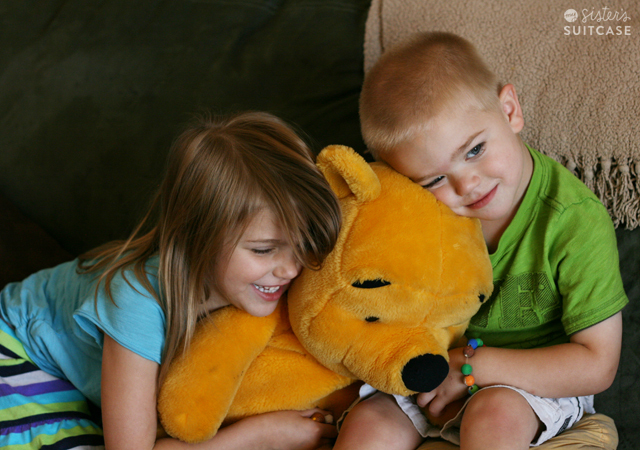 The Many Adventures of Winnie the Pooh is coming to Blu-Ray Combo Pack and HD Digital August 27th! I can’t wait! Adorable! I love the bracelets!! I love your honey pot friendship bracelets! 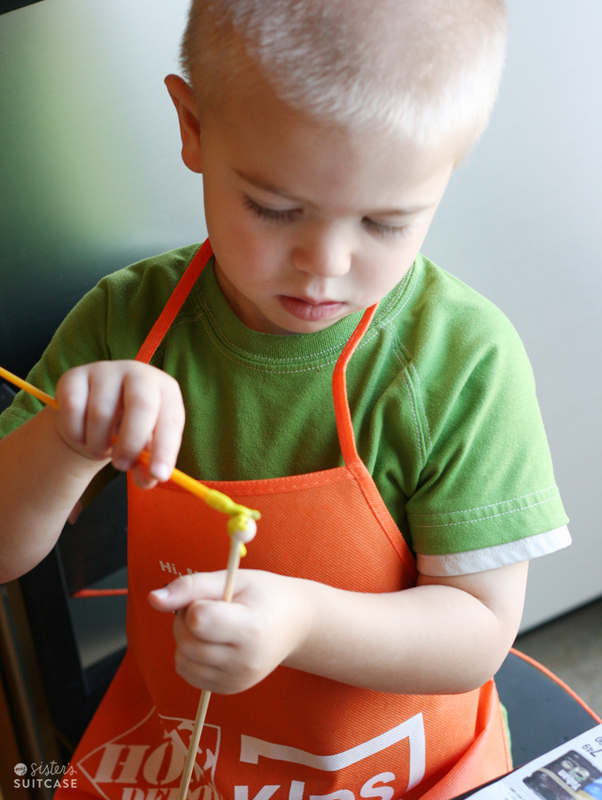 Those tiny honey pots are too cute… and so are your little models! Haha, I kind love my little models, too! 🙂 Thank you! Adorable!! My favorite Disney movie is The Little Mermaid. Thanks for the great idea!! Pinning!! Yes! My daughter loves it right now, and it’s so fun to re-live my childhood! those honey pots! i mean genius!!! I love these! the honey pot idea from those wood shapes is genius. Thanks, Carissa! This was such a fun campaign! These are so cute! I might have to use this idea. This is an awesome idea! Love the hunny pots, and your models are also adorable. These are SOO SWEET!!!!!! Love love love! 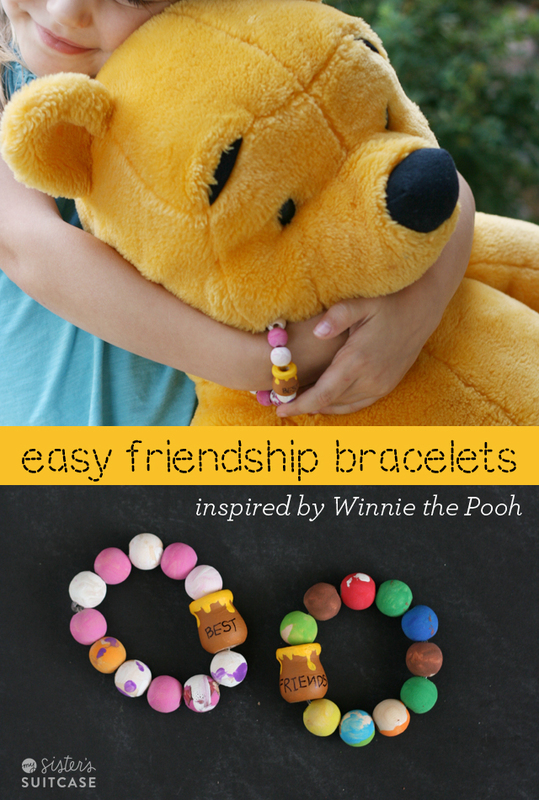 Going to have to make one for my Pooh obsessed little girl!